Terrene Tire's new Chunk 2.6" X 29"
Over the last several years mountain bikers have been presented with an onslaught of "plus" sized tires. Mostly in the 27.5" size. The thought was that it was going to be a midway point between the traction and stability of fat bikes with a splash of lighter weight and speed that smaller tires possess. However; hard charging riders in the enduro ranks and weekend warriors running higher speeds in mountainous terrain have found that those puffy tires are just a little too forgiving. Especially in terms of sidewall stiffness. 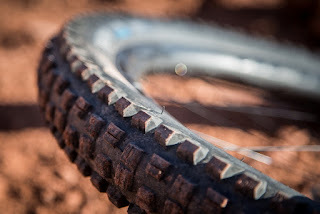 To get a tire constructed to withstand the forces that this sort of riding introduces, and keep the 2.8"-3.0" widths, the tire would be too heavy. So, the idea was to dial back the width a bit and beef up the tire casing, keeping weights in check, but also keeping some of that volume. This new Terrene model is a good example of what the industry is moving toward in the future. In fact, 2019 will be rife with bikes with this sort of tire size and tire manufacturers are already making tires like this for the aftermarket. Oddly enough, 29+ seems to be somewhat free of this phenomena, but I think that this is due to the more slow speed applications 29+ is generally used for. (You don't see 29+ being enduro'ed, bruh!) So, I think 29+ is a bit exempt from this issue. I find the whole 29" X 2.6" thing fascinating from another perspective, myself. That being that ten years ago many of us would have given almost anything to get our hands on a tire this size! Now they are here, along with the bikes that make them worthwhile. Pretty crazy to consider how far things have come. Ti gravel e-bike from Russia, anyone? Electric motors on two wheeled vehicles, (call them whatever you'd like, here they are motorcycles), have their place, I suppose. Commuting in places where the temperatures and conditions are relatively the same all year long is one place. (SoCal, Southwest, maybe), but really, not very many other places are ripe for your year-round electric motorcyclist. 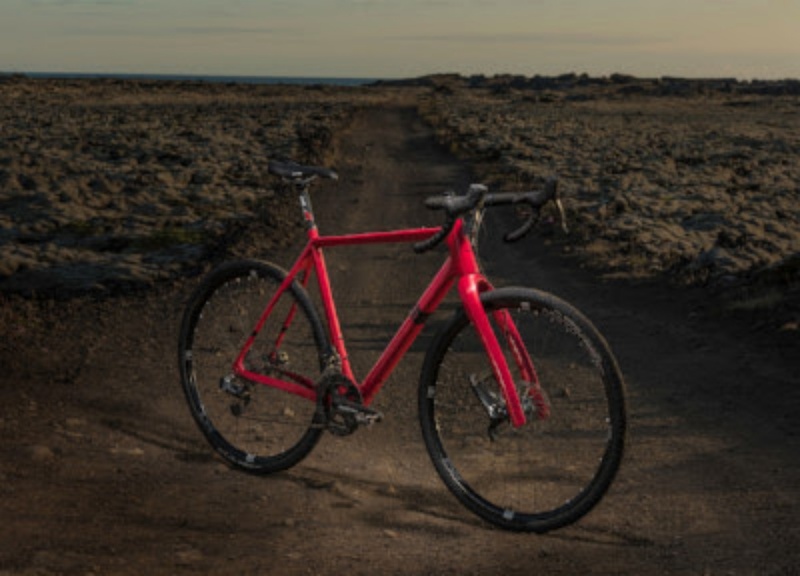 So, manufacturers have decided that electricity is best applied to cycling situations where physical prowess was/is the only way you were going to get from point to point on a bicycle. Mountain biking is one prime example where it seems making the experience "easier" is "okay". But now I'm seeing "gravel electric powered rigs" being pushed, and the press release copy doesn't lie. Check this out: "They can ride like an ordinary bike and connect an electric drive when it is necessary. For example, when driving uphill or at high speed against the wind. Using a finely tuned electric drive, the cyclist can dose the load and not overload the muscles and joints. This allows you to travel much longer than you can afford on the basis of your physical shape....."In other words, "make it easier". This is what most of this electric motorcycle stuff is really all about, pressing the easy button. Anyone that says any different is either naive or in denial. It's ludicrous to believe that these contraptions turn non-cyclists into cyclists as well. There is zero data that is reliable to show that this is happening. Human nature is to gravitate toward easier and not harder physical activities. In fact, I am still of the thought that if government cracked down and made these motorized vehicles get inspected and licensed/insured, like most other types of motorized vehicles, then the market would dry right up. This goes for ATV/Quads, golf carts, or any other unlicensed/uninsured modes of transportation. In fact, New York did crack down on these electrified two wheeled rigs, much to the outcry of fans of these electric motorcycles, and the market was severely curtailed there. These regulations have since been rescinded. Get in GW- Maybe Be A Winner Of A Frame Set From Lauf! Okay, let's get right to the nitty-gritty. 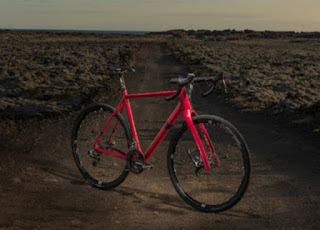 Lauf has promised the Pirates of the Gravel Worlds team that they will be able to give away a Lauf True Grit frame set to someone who is entered into the 150 mile or 75 mile length events of Gravel Worlds. The drawing will be on August 18th during the awards ceremony for Gravel Worlds at SchillingBridge, which is also home to the start/finish of Gravel Worlds. There are "big deal" gravel events and that's cool. 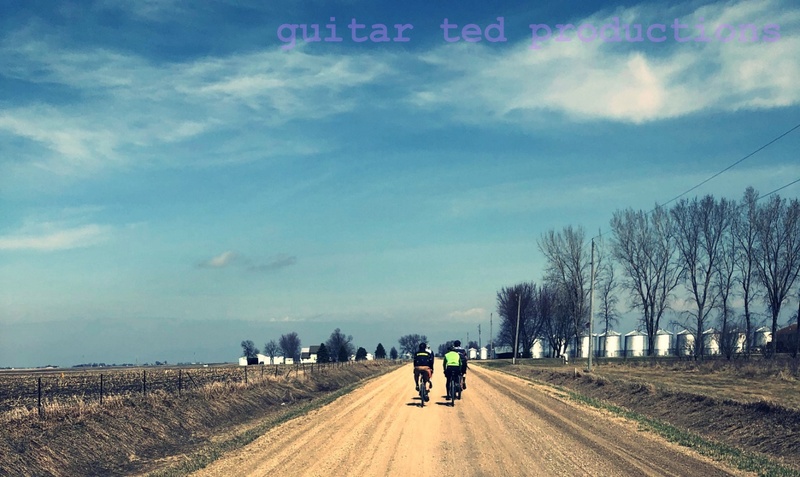 There are "dirt bag", grassroots gravel events and those are fun. Gravel Worlds is truly a balanced approach offering elements of both of those extremes. The Pirate Cycling League guys haven't ever forgotten their roots in grassroots gravel grinding, but they are also right there when it comes to "premier,"world class" gravel events. While the whole "gravel worlds" thing may be a bit pretentious, it makes sense when you come and experience the event and you understand where the Pirates are coming from. The challenge is real at Gravel Worlds, but so are the people involved. I love this event, and what the PCL does to keep it the fun event that it is, I know, is not an easy balancing act, but they pull it off year after year. I mean, the chance to win a frame set is nice, but don't go to Gravel Worlds just for that. It is way more than that, and winner's jerseys, or whatever. Way, way more than that. Just go, and you'll understand. After about a 40 plus year absence, the Goodyear Tire and Rubber Company has reentered the bicycle tire market place. You've probably seen the stories already on the innergoogles about these tires. The full story isn't really being told here, is what I am thinking. Think about it- why would Goodyear get back into bicycle tires? The marketplace is crowded, for one thing, and from what I can see here, Goodyear isn't bringing anything earth shattering in terms of technologies to bicycles. Not like Continental has with Black Chili, or Vittoria with Graphene. It's just another choice from a name that has almost no cache' with the performance cyclist segment. Now I could totally see Goodyear tires as a "mart bike" product. But for the market they seem to be after? It just seems weird to me. Maybe I just don't get it. I'm sure they are fine tires, but I just cannot shake the feeling that this is a toe-hold to getting someplace else in terms of market share. Maybe I'm wrong. Anyway, it is a curious introduction, to say the least. Okay, that's it for this week. Have a great weekend and keep the rubber side down! Emotor-bikes are an engineious solution to being lazy. The thing is...there is maybe 90% of the population that will never touch a bicycle otherwise. So, if electric bicycles get them in the door to some form of non-gasoline, non-car exercise, is that good or bad? And if you start to apply regulations to class 1 electric bikes (license plate, insurance, etc) then you likely close that door at the onset. And yes, I do agree that once people take up an electric bicycle, they likely won't bother with a conventional bicycle. And yes...hopped-up ebikes that do 40mph don't have a place with regular bicycles. So some regulation is appropriate as to how powerful and fast they can go. "....there is maybe 90% of the population that will never touch a bicycle otherwise." Really? Based on what data? Where are you pulling that idea from? I don't buy that line and I don't think it is even close to reality for Americans. Okay, if it's not 90%, then what percent is it? 50%? 20%? Do you think only 20% of the population doesn't actively bike in the US? I'm just looking at how many people drive versus how many people bike. It's a terrible ratio. And okay I used some hyperbole there..."never touch a bicycle otherwise". So let's instead say "hardly or rarely touch a bicycle because of a variety of reasons". @PedalingPower- That's fine, but the mere existence of e-motorcycles is not going to change that "terrible ratio". Infrastructure, culture, and technology don't exist today that would make a big dent into car culture here in the US. In my estimation, if we can keep on track, we are at least one to two generations of people away from getting significant amounts of people out of cars and on to whatever the next thing will be in transportation. That will not be bicycles, in my opinion.